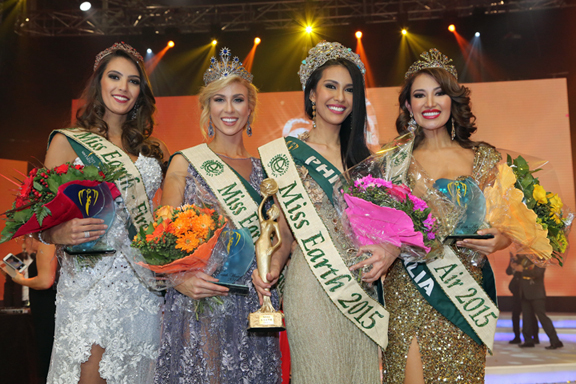 Philippines' Angelia Ong was crowned Miss Earth 2015 during the gala event held at the Marx Halle in Vienna, Austria on Saturday, December 5. 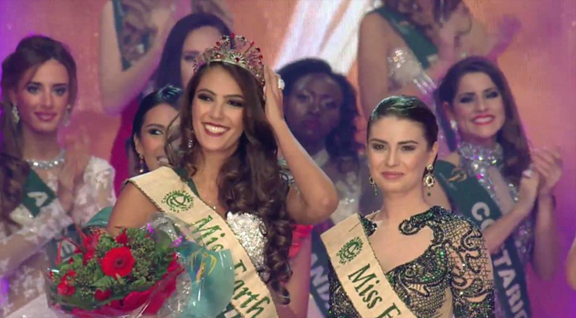 25-year-old Ong succeeds fellow Filipina Jamie Herrell to be crowned the new Miss Earth. The elemental queens include Dayanna Grageda of Australia, Miss Earth Air (second place), Brittany Payne of the United States, Miss Earth Water (third place) and Thiessa Sickert of Brazil, Miss Earth Fire (fourth place). Ong's victory marks the Philippines' third win in less than 10 years: Karla Henry won the title in 2008 and Jamie Herrell in 2014. During the question and answer portion of the pageant, Angelia was asked to come up with slogan for the next 15 years of Miss Earth. Angelia answered, "We will, because we can." "I want to let everybody know that all things are possible and all things are feasible if we work together. We will, because we can," she explained. 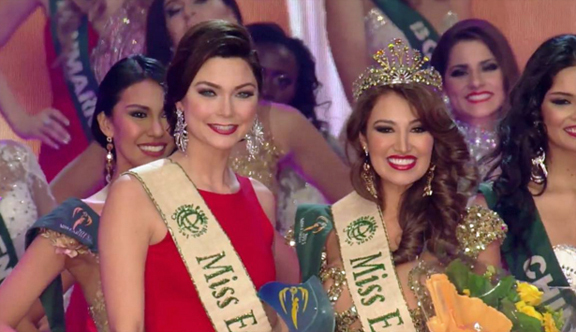 Ong's win is also the first back-to-back win in the history of Miss Earth since it started in 2001. Completing the top 8 were Sophie Totzauer of Austria, Natividad Leiva of Chile, Estefania Muñoz of Colombia, and Andrea Rosales of Venezuela. Rounding up the top 16 were Dorina Lepp of Hungary, Viktoria Orel of the Ukraine, Karolína Mališová of Czech Republic, Bayartsetseg Altangerel of Mongolia, Katia Moochooram of Mauritius, Amy Meisak of Scotland, Alyssa Wurtz of France, and Skye Celine Baker of Guam. 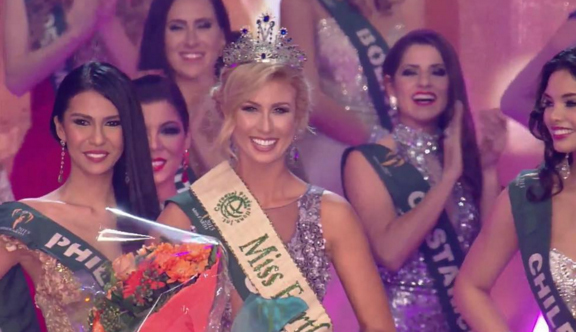 A beaming Brittany Payne of the United States was crowned Miss Earth Water 2015.
successor Anastasia Trusova of Russia (right). The winner and her elemental queens pose for the cameras.